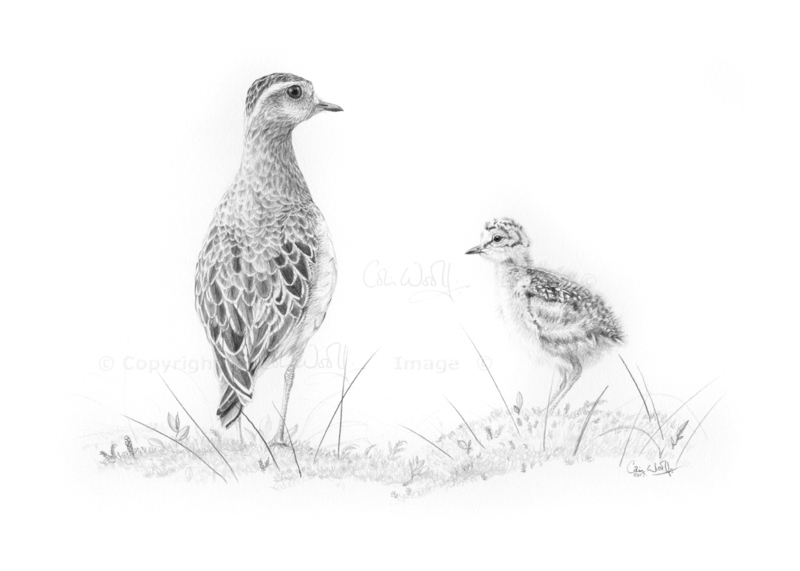 A Dotterel keeping a watchful eye over its new youngster. After making the long climb to the tops of the Cairngorms we were glad to have timed our visit so that Dotterel and chicks were all around. Wonderful sight.